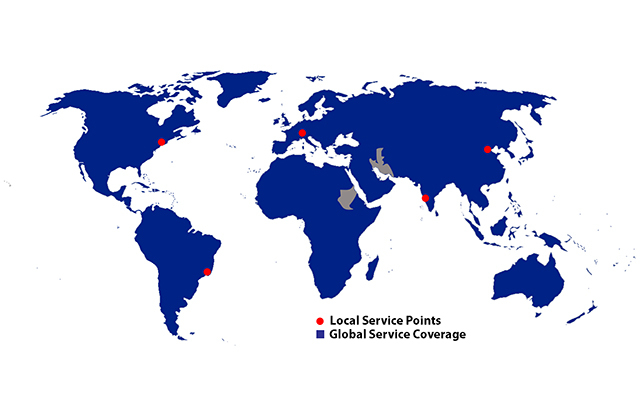 HAEFELY HIPOTRONICS has a worldwide network of representatives and local service points providing a wide range of services way beyond standard customer support for sales and after-sales inquiries. Highly skilled and experienced customer support teams guarantee you seamless worldwide service for all our products. Their high level of knowledge is reinforced by continuous, comprehensive product and service training sessions in collaboration with the respective development and production areas as well as our quality management team. In addition to general hotline services, product application training, engineering consulting, assistance with spare parts, repairs and periodical maintenance, there is a wide range of calibration and upgrade services available for our customers all over the world.